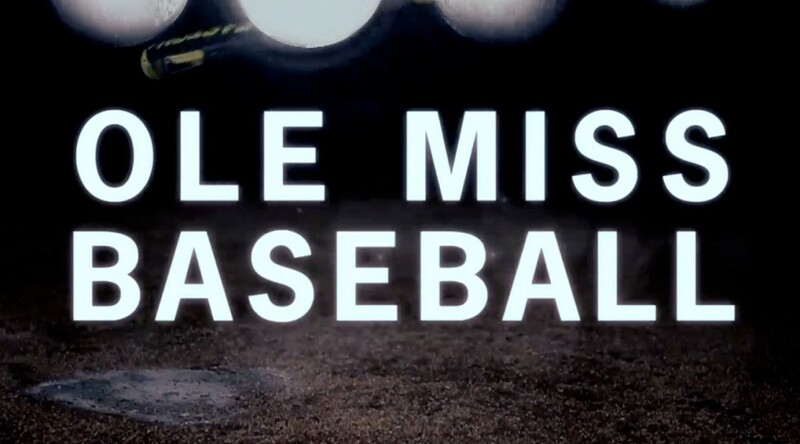 The University of Mississippi has been playing collegiate baseball since 1893. They are currently in the West Division of the Southeastern Conference. Their team colors are Yale blue and Harvard Crimson. Their nickname is the Rebels. They play at Swayze Field in Oxford Mississippi which seats 6500 but has space for about 2000 more in standing room. 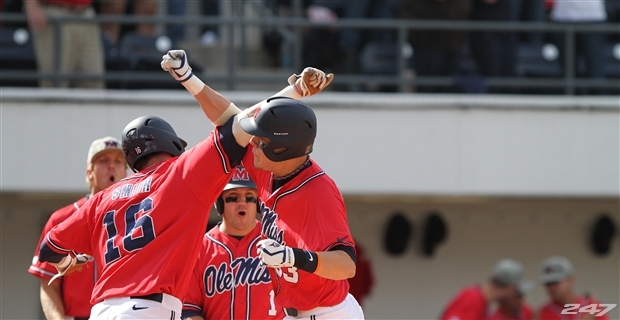 Ole Miss baseball has made four College World Series, the most recent being in 1972. They have appeared in the NCAA tournament 18 times, including 11 out of the last 13 years. The Rebels have won the SEC conference championship seven times and the Southeastern Conference tournament twice. They have been coached since 2001 by Mike Bianco, a former college catcher. While there are records of Ole Miss playing baseball games as early as 1893, 1947 is generally considered the beginning of The University of Mississippi’s modern baseball era. Ole Miss baseball has only had six coaches since then. Ole Miss baseball made all four of their College World Series between 1956 and 1972, with future Major Leaguers such as Joe Gibbon, Jake Gibbs, Don Kessinger and Steve Dillard leading the way. The also won five SEC titles during that time period. However the most successful time period in Ole Miss baseball history has occurred since 2001, when Mike Bianco was named coach. Bianco, then 34, had just come off a very nice three year run with McNeese State. He immediately took Ole Miss to the NCAA tournament, an achievement they would then repeat 10 times over the next 12 years. In 2005, 2006, 2007 and 2009 the Rebels made the NCAA Super Regionals, which is the last game before the College World Series. However each time they failed to advance. Additionally, the Rebels have won an SEC regular season championship and a Southeast Conference Tournament during Bianco’s tenure. But for all that success, Bianco knows he needs to take his team to the College World Series and beyond to be considered among the greats. Ole Miss has an intense rivalry with Mississippi State. From 1980 to 2006, the two instate rivals played one non-conference game a year dubbed the Mayor’s Trophy. In 2007 it was upgraded to the Governor’s Cup. During the Mayor’s Trophy-era Ole Miss led the series 14 games to 13. But it’s been 4 games to 3 for Mississippi State since it has the Governor’s Cup, making it 17 to 17 overall. Ole Miss’s home stadium Swayze Field (no relation to the late actor, although that would be awesome) is one of the premier venues in college baseball. In 2013, the Rebels averaged 7996 fans for their home game, third in all of college baseball, even though Swayze Field only has 6500 proper seats. Major League players who went to Ole Miss: Pete Shields, Joe Evans, Doc Wood, Doc Marshall, Gee Walker, Hub Walker, Orlin Collier, Skeeter Webb, Charlie Moss, Joe Gibbon, , Jack Reed, Jake Gibbs, Don Kessinger, Steve Dillard, Tucker Ashford, Pete Ladd, Jeff Calhoun, Jeff Fassero, Laddie Renfroe, Keith Kessinger, Brian Maxcy, Chris Snopek, David Dellucci, Keith Johns, Mickey Callaway, Bobby Kielty, Ryan Bukvich, Matt Duff, Justin Huisman, T.J. Beam, Seth Smith, Matt Tolbert, Chris Coghlan, Matt Maloney, Alex Presley, Lance Lynn, Zack Cozart, Drew Pomeranz, Phil Irwin. Conference championships: 1959, 1960, 1964, 1969, 1972, 1977, 2009. College World Series appearances: 1956, 1964, 1969, 1972.